Vista Outdoor, a gun and ammunition company, stockpiled ammunition last year ahead of the 2016 election. Now the company is having trouble selling it. Shares plunged 30% Thursday after it reported a double-digit drop in quarterly sales. CEO Christopher Metz, who started just a month ago, said the company has reduced its workforce and quickly shook up its leadership. One of Metz's first actions was to replace the executive in charge of the shooting sports division. The company also let go of 562 employees, or about 10% of its workforce, according to company spokeswoman Amanda Covington. "We have much to do," said Metz in an earnings call Thursday. "We must make significant changes and we must act quickly." Vista Outdoor (VSTO) has at least 50 brands, including Savage Arms, which produces AR-15 style rifles. But Vista is primarily an ammo manufacturer, that boasts half a dozen brands of bullets, including Federal Premium and Speer. Ammo accounts for 40% of its products, according to Rommel Dionisio, gun industry analyst for Aegis Capital. "There remain high retailer inventory levels for ammunition, which has prompted major players such as Vista Outdoor to begin discounting and promoting in recent months," said Dionisio. "This has naturally hurt profit margins in the near-term." Stephen Nolan, chief financial officer for Vista, blamed its 14% drop in sales on discounted ammunition and "challenging market conditions that have persisted longer than previously expected." Sales of guns and ammunition have taken a beating since President Trump, a Republican endorsed by the National Rifle Association, was elected. 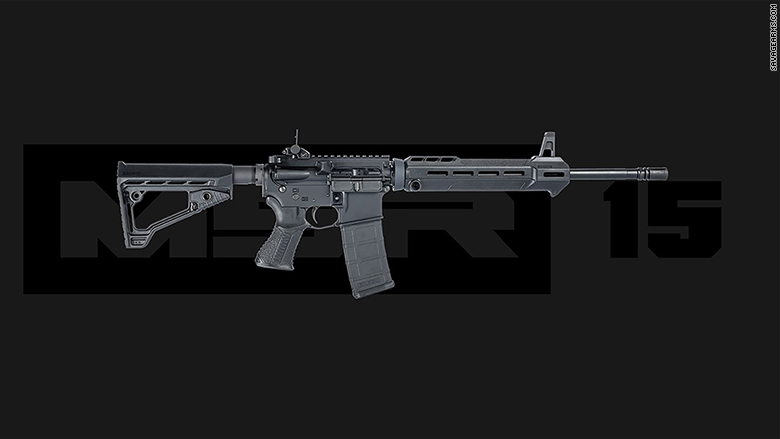 Vista Outdoor makes AR-15 style rifles, like this MSR15 Patrol from its Savage Arms brand, but it's primarily an ammunition manufacturer. Many gun manufacturers and retailers bet on Hillary Clinton winning the presidency and stockpiled guns and ammo prior to the election a year ago. The assumption was that Clinton's gun control policy would drive sales, as it did throughout the campaign. 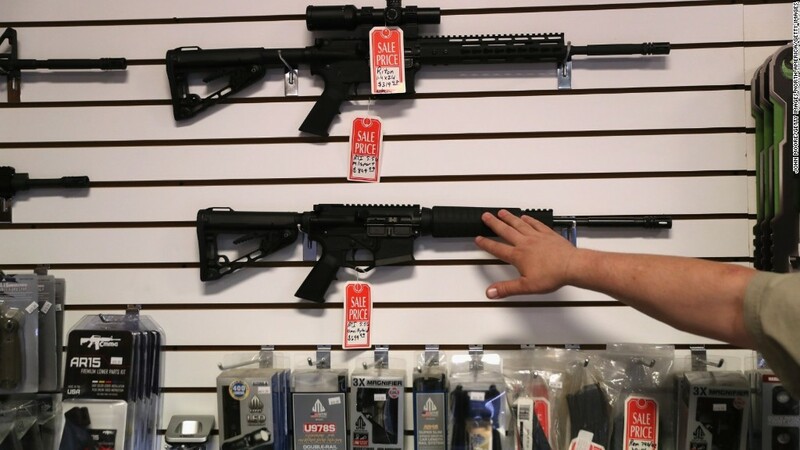 Trump's ascendance diminished fears among gun owners that their guns would be taken away, and therefore dampened a sales for guns and ammunition. "The retail and wholesale channels had built up additional inventories in anticipation of a post-election surge," said Nolan, in the earnings call. "The surge failed to materialize and therefore, the channel has been working its way through excess inventories." The first half of the Vista Outdoor's fiscal year ended on October 1, the day of the deadliest mass shooting in U.S. history, when a gunman in Las Vegas used AR-15 style rifles fitted with bump stocks to kill 58 people and wound hundreds. Background checks conducted by the Federal Bureau of Investigation, which loosely tracks nationwide gun sales, notched up 3% in October, compared to the month before. But they were still down nearly 8% from October 2016, in the final weeks of the presidential campaign. Nolan said he doesn't expect the market to return to growth for 18 months.